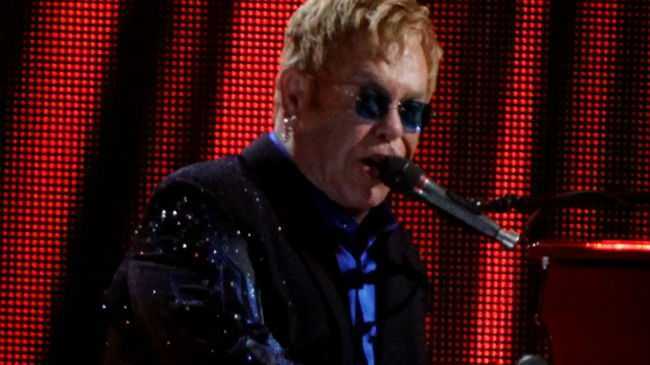 SIR Elton John says that everything that has happened in his life "has been for a good reason". The 68-year-old singer has had an eventful few years, marrying partner David Furnish in December 2014 and welcoming sons Zachary and Elijah in 2010 and 2013 respectively. As he sat down with host Jimmy Kimmel on Monday night (18.01.16), Elton labelled the developments in his life "the best ride possible". He said: "If someone said to me ten years ago that I'd be sitting in Los Angeles in my house ... with two children, I'd have said you put acid in my drink. "Everything in my life that's happened to me has been for a good reason. My bad behaviour got me sober, my sobriety got me my husband, my husband then got me my two children, and everything's been fantastic. I can't complain." Elton was on the show to promote his latest collaboration with Bernie Taupin and his upcoming album 'Wonderful Crazy Night'. He told Jimmy that while his and Bernie's writing process might seem strange to some, it has always worked for them. He continued: "You know, when I first started writing with Bernie, it was exactly the same as it is now. I would get a lyric, I would go away and write the melody and play it for him. That's never changed. It's the same thing now. It's as exciting now as it was then. "It's strange, but it works, so I don't question it."